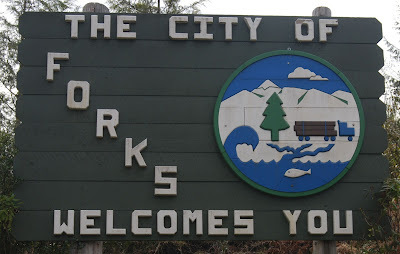 Welcome to Olympic Tech Goods & Services, in Forks, WA in the wettest place in the Pacific Northwest. Your hometown computer repair shop. Located at 190 S Forks Ave (Hwy 101), inside the Olympic Sporting Goods, across the street from the Forks Memorial Library. Having grown up in Forks it's nice to be back, family in tow, putting my skills to work in the community. My computer experience comes not only from schooling and previous jobs, but a passion for computers from a young age. Our first family computer was an Apple IIe, then an Apple Macintosh Performa 6200CD. Soon after, I built my first computer and was college bound with it. I graduated from Bellingham Technical College with an Associate degree in Computer Networking Technology. Past work experience includes OfficeMax, ExcellData/CompuCom and Comcast. So drop in and visit us information is always free, other rates are listed under the services link on the left. I carry networking products, computer/electronic accessories and offer special orders.